Re-Move is an independent global capacity provider for heavy lift and transport equipment. 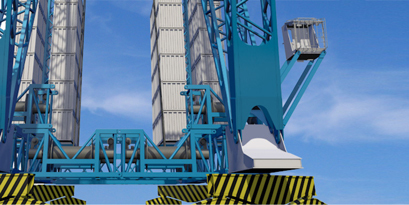 We offer a variety of tailor-made lease concepts for heavy lift cranes, vehicles and alternative lifting equipment, including worldwide shipping. 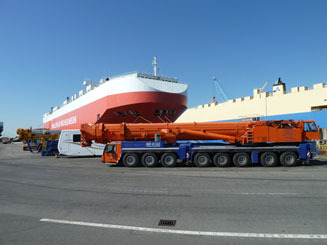 heavy transport equipment and alternative lifting equipment. from concept to installation. Our product range can be subdivided into six main categories: Heavy Lifting Equipment, Drilling Equipment, Pipelay Equipment, Mooring Systems, Vessel Designs and Specials and varies from stand-alone components to highly engineered integrated systems. A global market requires global and local solutions. Therefore, Huisman has expanded its engineering and production capacity from Schiedam, The Netherlands, to Sviadnov, Czech Republic in 1997 and, more recently to Fujian, China, generating close to 100,000m2 of total production surface. All production facilities play an important role in the Huisman engineering and production force ever since. Currently, Huisman is building a new production facility in Brazil which should be operational in the second half of 2013. For local sales, engineering and service support, Huisman holds offices in Rio de Janeiro (Brazil), Singapore and Houston (USA). Quality and service are core company values. As a result, we are internationally known for our technical input and creative solutions, our timely delivery of equipment that meets the most stringent performance criteria, full equipment capacity from day 1 and a high reliability guarantee during operations. All Huisman products are designed and built in accordance with the international standards and certified by recognised authorities such as Lloyd's, DNV, ABS, NMD and TüV.